Leicester City will try to use their final two fixtures of the Premier League season to build momentum ahead of the summer break, says Wes Morgan. City have endured a tough run of form over recent weeks, but they remain in ninth place in the table as they welcome Arsenal to King Power Stadium on Wednesday (7:45pm kick-off). The north London outfit are undergoing a period of transition as Arsène Wenger prepares to leave the club after 22 years, but Morgan says the Foxes will focus on themselves - and not the occasion. “Obviously, we know Wenger’s leaving and they want to give him a good send off by picking up wins in their last couple of games, so we want to try and spoil the party,” he told LCFC TV. Leicester City captain Wes Morgan looks ahead to the Premier League visit of Arsenal to King Power Stadium on Wednesday. “They had a good result in the last game [a 5-0 win over Burnley] and we know that when Arsenal are on form then they can be pretty devastating. 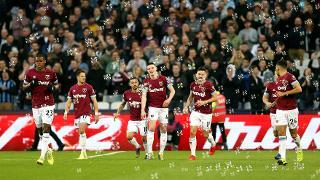 On the topic of City’s recent fortunes in the Premier League, a source of frustration everyone, Morgan added: “We’re here to win games and we’re here to perform. “In recent weeks, that’s not been the case. We’ve found it a struggle to find our route to goal and pick up wins and pick up points. Leicester are yet to taste success against Wenger’s men in the Premier League era, a statistic which Morgan would like to set right before the Frenchman departs Emirates Stadium in the summer. “They’ve struggled away this season so far and we’ve never beaten Arsenal so far in the Premier League so it’s something that we should try and use to our advantage,” the skipper added. We’ve still got a couple more games to play and we can’t just give up, we’ve got to keep going until the end. The fans deserve it. After Wednesday's King Power Stadium outing, the Foxes head to the capital to tackle Tottenham Hotspur and Morgan says both fixtures present exciting opportunities. "We’re trying to figure out where things have gone wrong and we’ve got to keep fighting," he continued. "We’ve still got a couple more games to play and we can’t just give up, we’ve got to keep going until the end. The fans deserve it."